Are artificial sweeteners safe to consume? Do they really help you lose weight? Is “real” sugar a better choice? These questions have been part of the healthy eating debate for many years. There have been numerous studies going all the way back to the days when saccharin was the most popular sugar substitute and have continued through the advent of aspartame, sucralose and others. The short answer to these questions is that we don’t know for sure. There have been studies that correlated drinking diet soda (probably the most widely consumed source of artificial sweeteners) with weight gain, metabolic disorders (such as Type II Diabetes), gut biome disruption and even increased risk of dementia. Click on this link to see Dr. Weil’s take on sugar substitutes, which encompasses some of the studies mentioned above. A more recent study would appear to debunk some of these previous studies, saying in essence that sugar substitutes, such as aspartame, do not cause weight gain nor are they provably correlated with metabolic disorders or dementia. The authors do admit that more research is needed to discover the effect of consuming sugar substitutes on kids, as well as the effect on glucose tolerance and inflammation, arguably some important issues related to health and wellness. 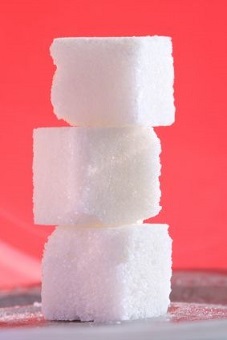 There are several kinds of sugar substitutes that are widely used in the food supply. --Aspartame (NutraSweet®, Equal®) is 180 times sweeter than sugar. --Acesulfame-K (Sweet One®, Sunett®) is 200 times sweeter than sugar. --Saccharin (Swee’N Low®) is 300 times sweeter than sugar. --Sucralose (Splenda®) is 600 times sweeter than sugar. A more natural low-calorie sweetener is from a plant called “stevia.” It has gained popularity of late, but it has not been evaluated by the FDA, and there have not been any long-term studies on possible side-effects of using stevia. Stevia comes from a shrub-type plant that grows in Central and South America and it is 300 times sweeter than sugar, but without providing calories. Stevia is being used more by food companies, since it can be advertised as “natural” rather than artificial. There is a group of chemical compounds, called “sugar alcohols,” that have long been in use to sweeten certain products, such as chewing gum, cough syrup, and even toothpaste. These food additives, like erythritol and xylitol are inexpensive and provide a taste very similar to sugar. All the sugar substitutes mentioned above have been approved by the U.S. FDA for use in the food supply. I can’t tolerate most artificial sweeteners because they upset my digestion. Sugar alcohols cause rumbling in my lower digestive tract and Aspartame and Acesulfame give me nausea. I accidentally bought a small yogurt while traveling and did not pay attention to the ingredients list—a rare occurrence for me! After eating the 6 ounces of product, I started feeling sick to my stomach. When I checked the label, I realized too late that it had aspartame as a sweetener! This example illustrates that not everyone is affected in the same way by what is in our food supply. As long as I stick to real foods, I feel great, so I am highly motivated to do just that. --They provide sweetness without calories. --They don’t raise blood sugar in the way that sugary foods and drinks do. --They help those with a sweet tooth, who can’t consume sugar, to not feel deprived. --There is too much unknown about long-term use of these products, and the potential health risks may outweigh any benefits. 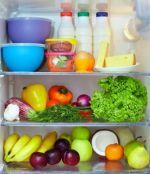 --Using these substitutes for sugar means you train your palate to prefer highly-sweetened foods and beverages rather than healthier alternatives. --Since they are calorie-free, artificially sweetened beverages may take the place of drinking water which can affect your kidney function long-term. So, is sugar better for you? That is the $64,000 question! I would say that neither choice is the best choice for your body. Sugar has its own set of potential health problems and most of the sugar we eat is also highly-processed with chemicals to make it whiter and to keep it from caking. Even if you choose more natural sugars like honey or maple syrup, you still have to deal with its effect on your blood sugar levels, weight, and all the other potential problems that have been associated with consuming too much of the sweet stuff! Having said this, using a bit of honey or maple syrup to sweeten your diet, is probably better than using highly-processed white sugar, depending on how the honey and maple syrup have been treated and processed. My suggestion is that you limit both sugar and its substitutes and concentrate on real, whole foods that may have some natural sugars, but that also have fiber and other nutrients that help your body manage the sugar content. Note: Many years ago, before anyone was really talking about it, Linus Pauling, Nobel-Prize-winning scientist, warned that sugar was a bigger culprit in poor health and cardiovascular disease than fat, which has generally taken the rap for causing these problems. Interesting Fact: When you eat products with high-fructose corn syrup your body seems to handle the fructose differently than when you eat a piece of fruit containing naturally occurring fructose. You may have heard the saying, “There is no free lunch.” In the context of artificial sweeteners, this means that getting the sweetness without the calories may have unintended consequences. After all, the sugar substitute is telling your brain you are getting glucose, but then no glucose shows up in your bloodstream. So how does your brain react to this subterfuge? That is the real question. Click on this link to go from Artificial Sweeteners page to Healthy Eating Foods page.